UFO SIGHTINGS DAILY: UFO Caught By Mars Opportunity Rover Shows Signs Its A Drone, Aug 2015, UFO Sighting News. 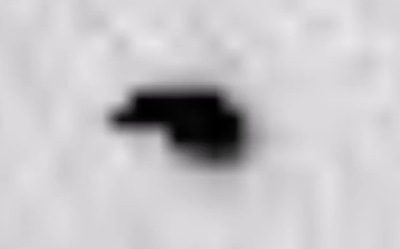 UFO Caught By Mars Opportunity Rover Shows Signs Its A Drone, Aug 2015, UFO Sighting News. 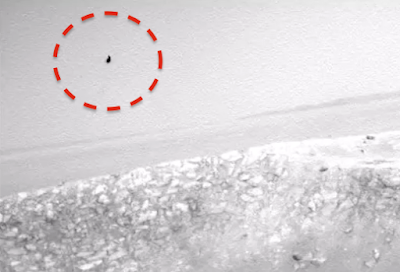 Another unidentified flying object flew past the Mars rover a few days ago. Streetcap1 was carefully going over Mars rover photos. The object he found has many right angles and does not look like it could be an animal or insect. Yes, Mars has life, NASA just doesn't want to leak it out, or China and Russia will be in a hurry to get there and claim to own the land. This looked like a blob until I rotated it 90 degrees, then it looked more interesting. It appears on two photos. I made the video using only one photo, but I will link both.